For sure, it is very exciting to travel to far away, exotic destinations on the trail of magnificent trophy animals. But there is something very rewarding about managing your own deer concession. It’s all about getting the balance right between establishing a strong and healthy herd of deer, whilst protecting the forestry and farming interests of the landowner. Effective deer management produces bigger deer and happy landowners! Our deer concession is home to a strong population of muntjac deer and a few roe deer. 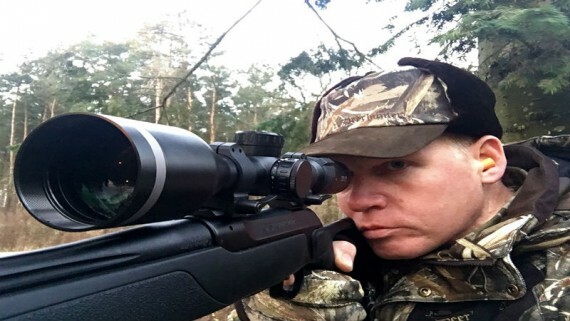 The dense woodland makes stalking muntjac during the summer a very challenging prospect. Muntjac are very small deer and travel beneath the canopy of the undergrowth. 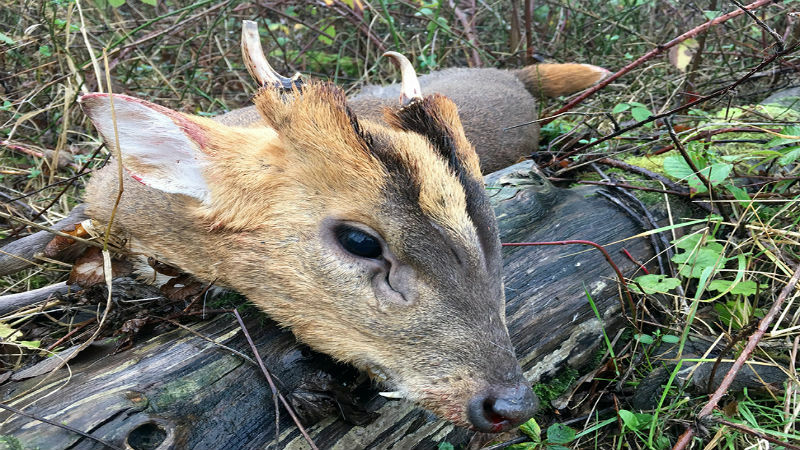 The best time to undertake effective muntjac management is during the winter. 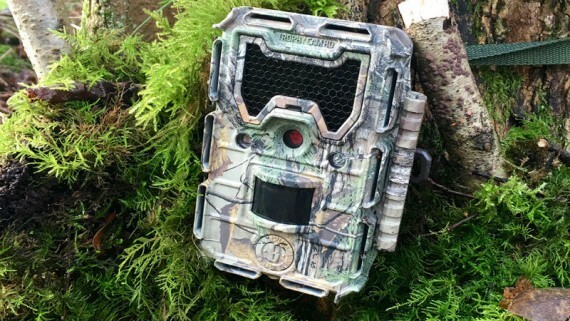 The undergrowth dies down, offering greater visibility. 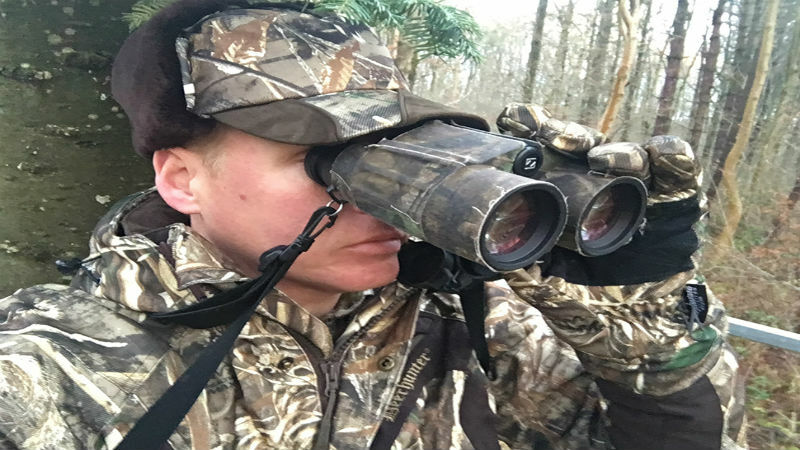 The surrounding food sources become scarcer, which allows you to place feeders in strategic positions to draw in the deer and concentrate the population. Utilising sophisticated trail cameras such as the Bushnell HD Trophy Cam XLT in Realtree Xtra allow you to clearly identify the number, species, gender and age of your deer population. This means you can create an effective management plan based upon a known population. January can be a changeable month weather-wise. It can be cold and bright one minute, then wet and miserable the next. 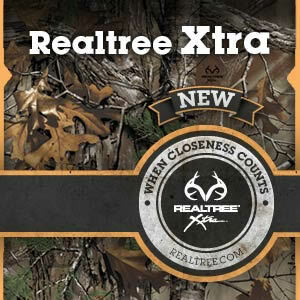 At this time of the year I choose Deerhunter Muflon in Realtree Max-5. 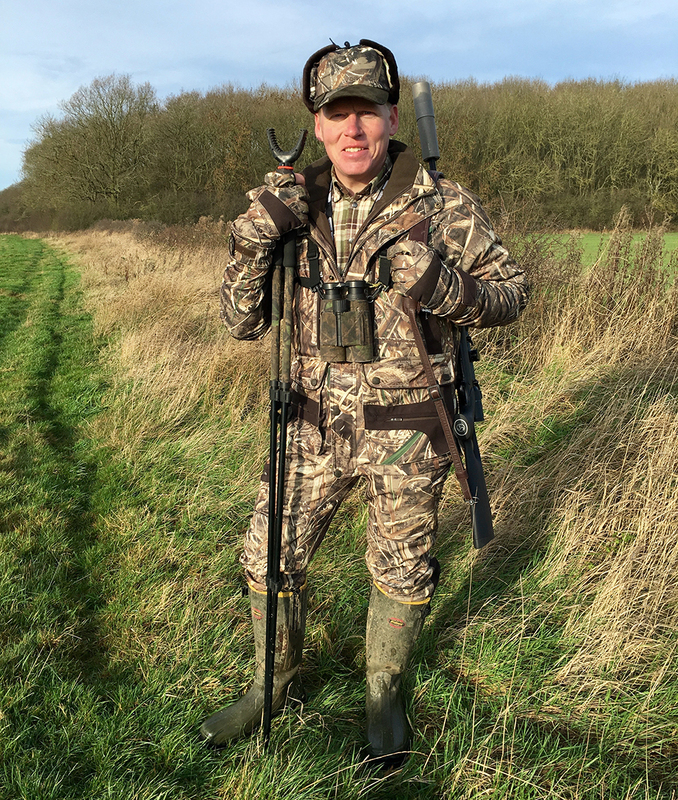 Designed for active hunters in a multitude of environments, I find the Deerhunter Muflon set offers great versatility – whether I’m sat in a high seat, or stalking a forestry area. 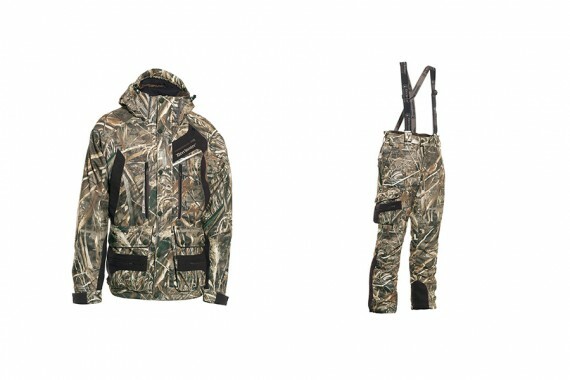 The highly advanced Realtree Max-5 camo works perfectly in the subdued colours of winter, with layers of detail and shadowing to add depth. I made my way to my high seat a little before 7am. The sky was still dark and heavy, but light on the horizon promised a brighter morning. Without the illumination of a head torch, you must be familiar with your hunting area, or risk wandering past your seat! We use ladder stands from K&A Services across the concession. Easy to transport and erect, they are built tough and will last a lifetime. They don’t offer any protection from the cold and rain, but do provide a solid platform from which to observe and shoot. I had to wait until the sun was already climbing in the sky before I saw movement. I looked behind to see a muntjac doe cross some 80 metres behind my stand. I stood and swivelled ready to take the show, but she skipped calmly into the woodland. As I turned to sit down, another doe was out in the middle of the ride, around 70 metres away! I set up to take a shot, but this one also was in no mood for standing around. Neither deer was spooked, but muntjac rarely stand still. They are constantly moving and feeding “on the hoof”. You must be quick and accurate. Twenty minutes later and a group of three does began running across the rides and through the woodland either side of my seat. It was a pleasure to watch their playful flight, but I knew there was little chance of getting a shot off. But I was not the only forest dweller to take an interest. A young muntjac buck emerged from the undergrowth and was sniffing the point at which the does had crossed. This young male was perfect for our cull and so I quickly decided to take him. As he stepped forward into the ride, he paused momentarily. I levelled the Sauer 202 onto the rifle rest and placed the crosshairs of the Minox ZE 5i 2-10×50 behind the bucks outstretched front leg. 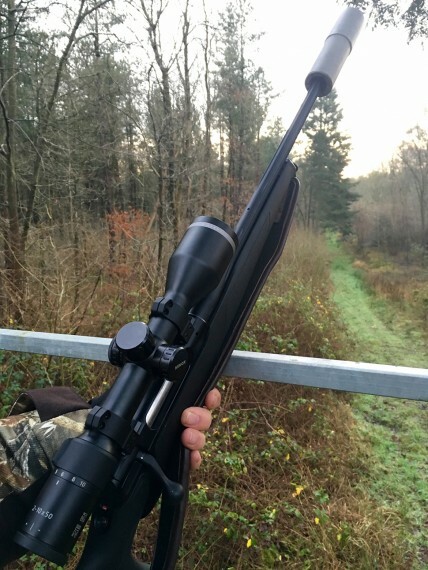 A muffled report broke the silence as the 150 grain 7mm RWS cone-point found its target. The buck fell backwards and lay still, and the forest was calm once more. After a few minutes another buck began to bark his disapproval of the disturbance, somewhere in the forest ahead. Clearly the buck’s curiosity overcame his fear, as want can only be described as a magnificent trophy buck came stomping into the ride ahead. Long, curled white antlers shone in the sunlight and his coat was a dark grey/brown. This is the type of buck we need to create a strong and healthy bloodline. I tipped my cap and watched the Lord of this forest disappear off into his kingdom before climbing down from my seat and heading for home, knowing the future of our herd was safe in his hands.